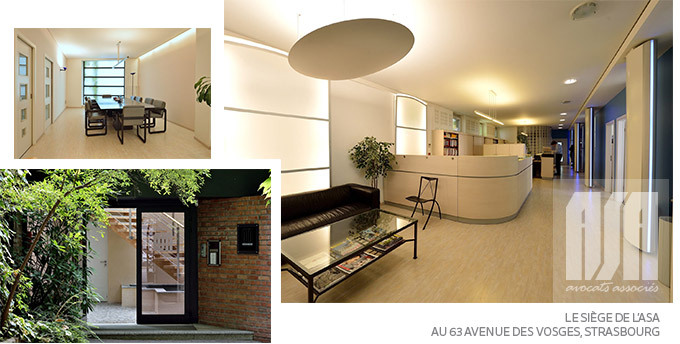 ASA AARPI is a law firm operating in the cities of Strasbourg and Paris. The firm was founded in 1946 in the European capital. It was the first in France to be given a name, a step which expresses the partners’ will to give priority to the group rather than individual members. The lawyers work individually or in teams, according to their speciality and complementarity, or depending on the type of the case or the client’s choice. ASA AVOCATS ASSOCIES’ partners and associates provide legal advice and assistance to french and foreign businesses, public institutions or individuals and represents its clients before the courts.